Apart from the initial cost of buying the boat there are also other savings to consider. Annual running costs, mooring costs, licensing, insurance, all of these play a major part in the enjoyment of boating as they are all based on price per foot. 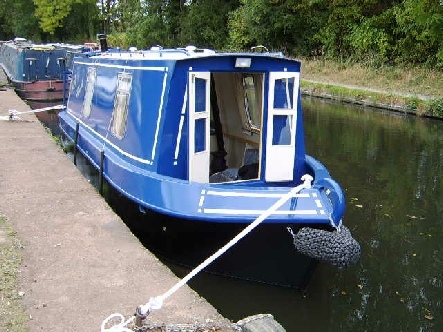 If you are looking for an easy to manage little Narrowboat, be it for days out, weekends or long holidays, with an inboard engine or outboard engine, 2, 3, or 4 berth give us a call to discuss your requirements. At the Little Boat Co all boats are fully constructed here. We build the shells and fit them out which is why we can be more flexible with your layout requirements. With over 30 years experience in boating and the inland waterways The Little Boat Co is well equipped to advise you and build the boat that you desire. 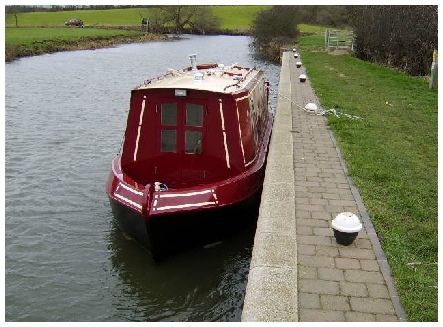 Specialising in the construction of small steel Narrowboats ranging from 20ft to 32ft, in 2/3 or 4 berth with all mod cons. Shower room, H & C running water and a well equipped galley, maintaining that bit of tradition with a solid fuel stove, port holes and coach work. We also provide some optional extras. Building to the recreational craft directive our Narrowboats have great advantages in handling compared to the longer boats and are ideal for couples, families with children and also single handed boaters.